If so, a new Food Network show may want to hear all about your baking and possibly cast you in a new baking competition show. The Cake Boss, Buddy Valastro, has a new show coming up and is currently casting for professional bakers and bakery owners to compete on the Food Network. Now casting bakers with a unique and delicious signature creation who want to sell their product across America! 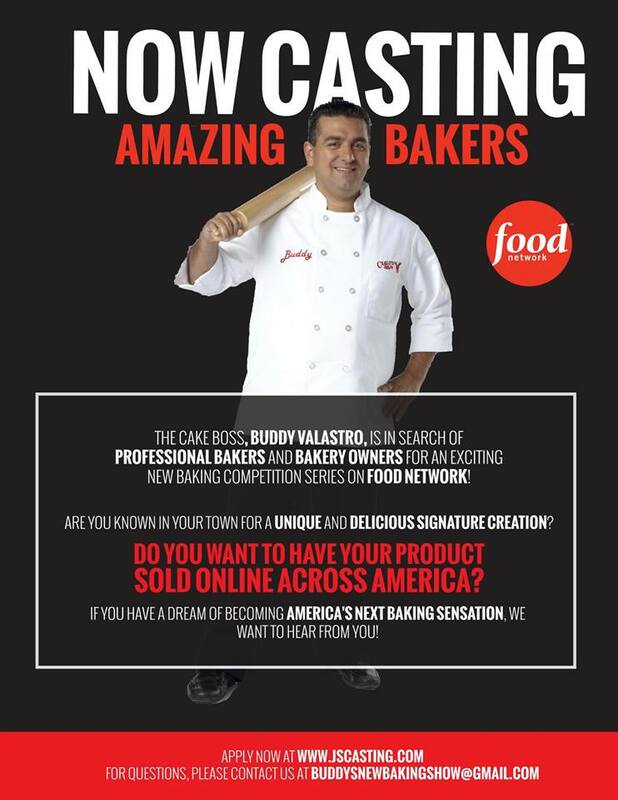 Do you want a chance to compete in Buddy Valastro’s new show on the Food Network?